I have been struggling this last year to write anything of worth. I just do not seem to have it in me since I went out on retirement leave last October to put thoughts to words. Writing my annual 9/11 piece seems to be just as difficult a process as anything else I have to to put down over the last few months. Do not get me wrong, the thoughts are there in my head, the act of getting them down has been failing though. In my first year of civilian life I had hoped to write this one with just a little bit different perspective to influence my words. After all I started this whole thing three, almost four, years ago to help clear the anger out of my head and do something a little more constructive with my limited creative side than simply allowing dark thoughts to take up space and fester in my head. At the end of the day, if it were not for 9/11 and all that has changed because of that day I do not think I would have entered this medium as a form of therapy. Chances are good I would have never realized that I needed some sort of outlet and like many other Americans would have lived a much different life. Something I have come to realize in the 14 years since the attacks is that we not only need to remember what happened that day and those we lost, we need to also remember the person we were prior to that day as well. We all changed, for some it was a significant change, while for others it was hardly noticeable. Some of us in the ensuing years have come to realize the type of person we really were, while others, too many others, have become lost in themselves and barely resemble the who that they were before the attacks. Many, too many, of my Brothers and Sisters have chosen to end their story long before the last chapter is written. It is commonly accepted that 22 Veterans per day end their lives. 22 souls who could no longer wander, trying to get back to who they were or come to grips with their experiences but were unable to. It may be that for some, they either could not remember the events that led to their experiences nor the thoughts and reasons why they took those steps in the days and years after. It is possible for many it is the polar opposite, they remember all too well how they were changed that day and forever are tied to their actions in the ensuing years, unable to make a break away from their personal changes or simply unable to accept them. 9/11 changed many things for many people. Some of us stayed at war until we left the service; for many they remain at war even though they are a long way away from their days in combat. The country latched on to a short-term, intense patriotism, supporting revenge, justice, vengeance or any other adjective to describe what has continued as a conflict without end. I do not blame anyone for this, we all lost someone or something of ourselves that day and America is known as a nation you do want to have to defend your backyard from. We need to remember that day because it is the day we all moved as a nation, from who we were to who we are now. The lives of our current and future generations was radically altered in the days since 9/11. After the initial closeness and drawing together, we have exploded outward and become polarizing and extreme. The thing that initially brought us together in our grief, morning and collective desire for vengeance has also shattered our old way of life, turning it into something almost unrecognizable at times. We always disagreed, but eventually there was some form of compromise for the country. Now there is a hostile polarity from which compromise is only reached from a position of dominance and for the good of the party. The ignorant have a greater voice than the wise, who are often labeled in the antithesis of what is considered an American. People who believe everyone should have a fair shake at accessing anything as anyone are called socialist while people who would have you believe the belief system is the only way and it is how we should be governed are totally ignorant of the fact that is the same philosophy as those who decided to attack us that day. We do need to remember. The many lives lost. The friends and families of those lost. Those who witnessed the acts live or on television. The heroes who lost their lives moving to the destruction to help others to live. The passengers who chose a farmers field rather than to be used as a fourth weapon of destruction. Most of all we all need to remember who we were before that day, individually and collectively. We may not have been any better people than we are today, but we are all radically altered in the years that have followed. Just a couple of months after the 15th Anniversary of 9/11 next year we will be choosing the next leader of the country. We need to decide whether we want to continue the cycles and dynasties that we have allowed or if we want to try something new and see where it goes. Remember the events of 9/11 and the people we lost that day and in years since. History will judge our actions since then as a nation and whether that pivotal event portended our downfall or our ascension. Patriots Day is a day of reflection brought about by noble actions in response to a most ignoble event. Take a moment in your busy day today and think about that day, the memory is yours, reflection is good. Time may close some wounds but it does not mean they are healed. This is my last Patriots Day in uniform. 13 years ago I was a 31 year old Buck Sergeant preparing to go to his first foreign country to help train them in peace keeping operations when the fabric of the world I had known was ripped apart. As we were packing our kit to depart in two days terrorists took it upon themselves to bring us to war. Ten days later we eventually left on our mission while my brothers and sisters in arms were packing for the unknown. I did not deploy to either invasion, but I did eventually make it to both Iraq and Afghanistan for close to five years total time deployed. I have been blessed over the years to know some very special people. Some of them have given the last full measure, some are continuing to serve and all too many of them are stuck in a ground in between. They gave what they had and have been unable to adjust and are lost, looking for a way to come back or to just find some measure of peace for themselves. 9/11 remembrances often consist of memorial and dedications to the 2993 souls who lost their lives that day and that is rightful thing to do. 2993 innocent and unsuspecting people paid the ultimate price for simply being a citizen of the United States or having the misfortune of being at the location when the attacks happened. 9/11 for me is not simply about those people and their families. Casualties from that day have continued to pile up in lives lost and scars visible and hidden. Environmental effects from the Towers continue to plague emergency responders and volunteers all these years later. Iraq saw 4486 of my comrades in arms give their lives in service by the time we pulled out in 2011, as well as countless thousands who still suffer physical and emotional traumas as a result of their service there. Afghanistan has seen an additional 2344 killed in action to date and thousands more with physical and emotional trauma to date, and we have been there longer with still more to go. Those attacks that day have continued and will continue to take and radically affect the lives of Americans in and out of uniform. In this regard, Usama bin Laden and Al Qaeda have exceed well beyond their expectations. We as Americans have drawn a distinction between the casualties of that fateful day and our subsequent losses in the years since. I think this is a mistake on our part. The events that day and those in the years to follow and the years to come are indelibly tied together and each loss we continue to suffer is directly attributable to 9/11 2001. Opinions on how much or little justification we had for invading Iraq on top of our assembled coalition hostilities in Afghanistan mean very little when the truths are not truths for the sake of being truthful but political machinations intended to sway a quorum. Thirteen years of war has changed us as a country. 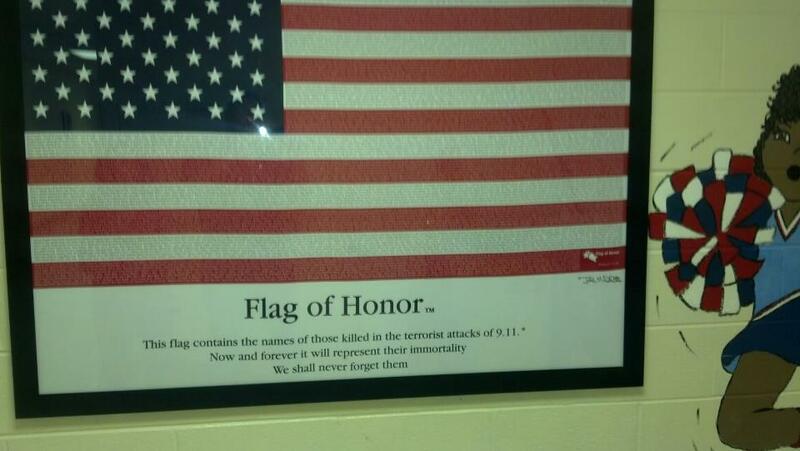 Thirteen years of remembrance reminds of of what our country is supposed to be. We now have one tower where two used to stand and we have a country with multiple divisions where we once came together for the common good, saw beyond the horror of the scenes before us to look into our own hearts and extend our hands to those who desperately needed. This last year is bittersweet. Almost half my life has been in uniform, it has been my identity and provided me the optic that I have been able to view the events of these last years through. Sometimes that vision has been with sparkling clarity and magnified view and all too many other times I have had to dry the moisture off it to see beyond my own sorrow. I do not look upon Patriots Day as a holiday but one of remembrance and reverence. I give one final salute and take my moments of reflection for those who have given their lives, those who have moved on as best they can and those who will never be able to. Today we remember those who came before us, who laid down their lives, suffered at the hands of our enemies, became permanently scarred, physically and psychologically, and lived the history of our nation. Brave men and women have given their all in pursuit of the freedoms we hold dear, or, choose to take for granted; for that is our right as Americans, to choose. For that we have our veterans to thank. It is your choice, your freedom, you inalienable right to be an American as you see fit. That choice is granted by the sacrifice in blood, pain, tears, and loss of those who run to the sounds of battle while others choose to stay away. We serve at your leisure but that leisure is only available through the actions of others. Freedom does not live in a vacuum; each and every day someone pays the cost for it and it is with their dying breath that millions more get to live the life they choose. Veterans do so with a clarity of vision for vaguely defined strategic objectives. Decisions are made and acted upon that have impacts far beyond the battlefield in which they are enacted. Heroes come at unexpected times, immortalized at the moment of their action. Most often they are eulogized and memorialized. Today we remember. Those of us who have known the loss first hand remember our comrades at arms who have paid the ultimate price. 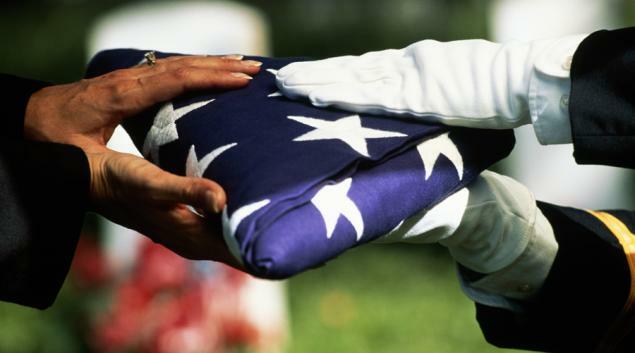 Today is the most somber of veterans remembrance days during the year. When it was Armistice Day, it was intended to be. It is not a day of celebrating, it is a day of remembrance and reflection. It is a day to wear the buddy poppy in remembrance of someone you knew who served or in recognition of a nameless individual who sacrificed their all so that you can have what you do. I am rapidly closing in on 20 years of service. It has not always been easy, fun, or even at times, something I wanted to do. My family has paid as much of a price if not more so than I. As I close out my time I hope that I have enough for them. I admire the respect they show during the National Anthem, memorial services, and to other veterans and their families and I know, deep in my heart that this is what I have served for all these years. The personal challenges and sacrifices are great obstacles to overcome and achievements to acknowledge for my own self-interests, but it is seeing the pride my my children’s eyes when they speak of what I do and it is in having the most loving, supporting Army wife possible. The 11th hour of the 11th day of the 11th month has passed. Gone is the Day. If not the person, remember the sacrifice.